I never thought of Barcelona having beaches before. Yes I knew of a beach resort outside the city called Sitges but in the two times I have visited the city of Barcelona I never realised they also had beautiful sandy beaches. My hubby was invited to attend a conference in the city for work and so I decided that baby and me would tag along for a few days to get some much needed vitamin D.
His conference was on the outskirts of the city centre in a residential area close to the port and opposite the museum of natural history. It was also virtually on the beach. The weather in early December was 18 or 19 degrees which if you’re Mediterranean is Baltic but for a British person that’s summer! As most Spaniards thought it was cold the beaches and yes there are more than one were virtually empty on what we’d class in England as a gloriously sunny day. They also have beaches that are well kitted out with showers, toilets & play equipment so great for families. 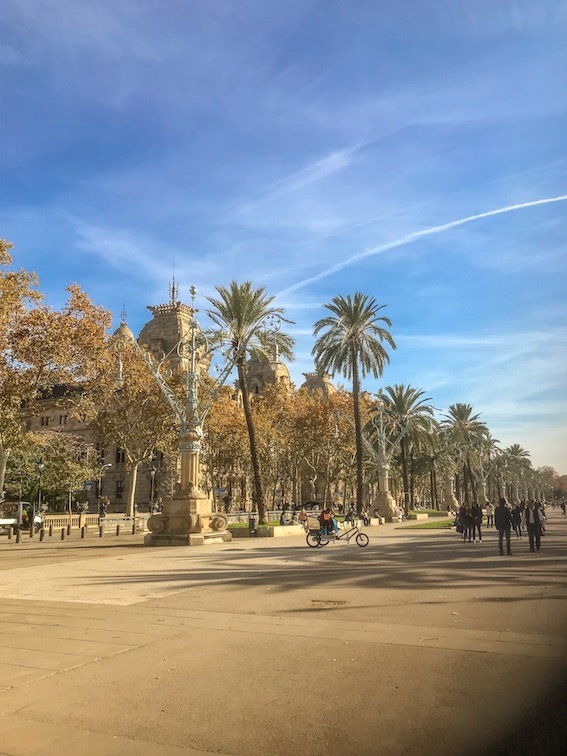 The plus point of Barcelona over a more traditional beach place in Spain such as the Costa del Sol or one of the islands is the fact it’s Barcelona! So you have lovely beaches but in the evening you have all the delights of a big cosmopolitan city and if you’re bored of the beach you can look around the sights of the city. Having been to Barcelona a few times before I’d been around the city to the usual tourist places like Las Ramblas, the Gothic Quarter and the Park Guell – Gaudi’s fantastical Park but even though I’d seen the Basilica de la Sagrada Família from the outside I’d never been in as the queues were always hours long. The beauty of visiting in December is there were no queues for any of the big tourist attractions- brilliant! I think it’s fair to say the cathedral blew us away once we got into it. I can only describe it as Star Wars like as it was so other worldly but the stand out thing for me were the stain glass windows that had Picasso style artwork in their design and a unique blend of colours and shades that perfectly made use of the light coming into the building. 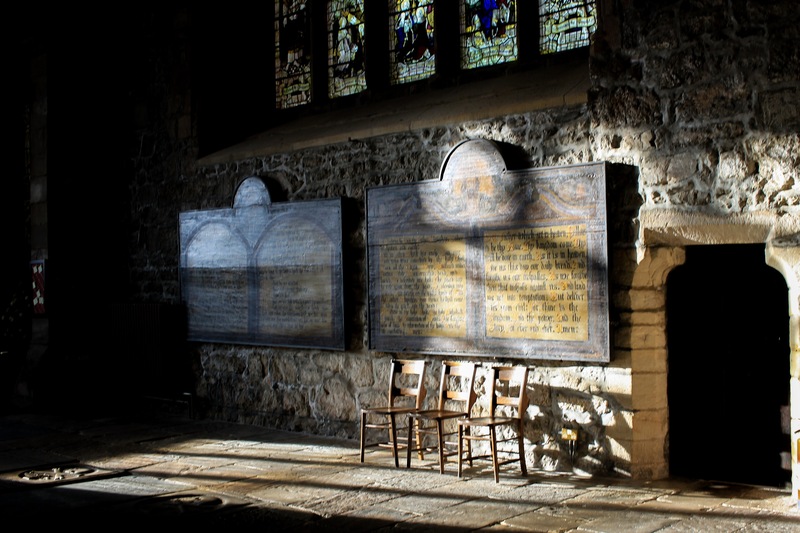 I would love to spend a full day in the cathedral watching how the windows react to the different light in the day. So beautiful I highly recommend a visit and to think at the moment it isn’t even finished. After visiting this extremely famous Goudi place of worship we then went and visited another more ancient place. The original Barcelona Cathedral, or Cathedral of the Holy Cross and Saint Eulalia, to give it its official name, in the Gothic quarter, again a place I hadn’t visited before because the queues were far too long. This one was built in the 13thand 14thcenturies. We lit 10 candles here to remember Violet, Arthur, my Nan, friend Alethea and other friends who are going through a bad time. Amazing architecture and a huge achievement when you think when it was built without modern day technology; the Basilica de la Sagrada Familia will probably take as long to be built (currently scheduled for completion in 2026) and the builders now have every bit of technology. Aurora loved both buildings and gazed amazed at the beautiful ceilings and windows. It was so peaceful and although I’m not religious I love the calming atmosphere in these buildings as though they have absorbed the love they have witnessed over the years. I also need to mention how amazing Jet2 are when travelling with babies. The cabin crew were brilliant helping us with bags onto the plane and then taking baby for cuddles while we got our luggage into the overhead lockers. They were 100% better than when I’ve flown with EasyJet and Ryanair who I’ve listed in order of horrendousness with Ryanair being the worst offender. In short I’d highly endorse a winter sun break to Barcelona so get looking at those Jet2 flight deals now. You may remember a post I wrote a few months back now about how I tried to not worry about my pregnancy by deliberately creating other things to do or organize in my life in order to stay busy. One of these was an extension and house renovation project. This two storey extension project began back in April and comprised of two new bathrooms, a new kitchen, full house rewire and new central heating with new radiators. Getting rid of a very narrow galley kitchen and extending the back of the house to create open plan living with a large kitchen dining space. We would also get a new bedroom upstairs so we’d have more room for visiting family and friends to stay with us. Our old boiler was ripped out in April so we lived in our house for 4 months with no heating or hot water and for the most part had no rear wall either just chipboard. Thankfully we still had an old electric shower so that was the sole source of our hot water other than from a kettle. A temporary kitchen was set up in our lounge and dining room so we had our oven, washing machine and dryer and sink all in the one room. Our fridge freezer had to be moved into the hallway next to the front door. It was a combination of camping and being in an episode of Steptoe and Son. 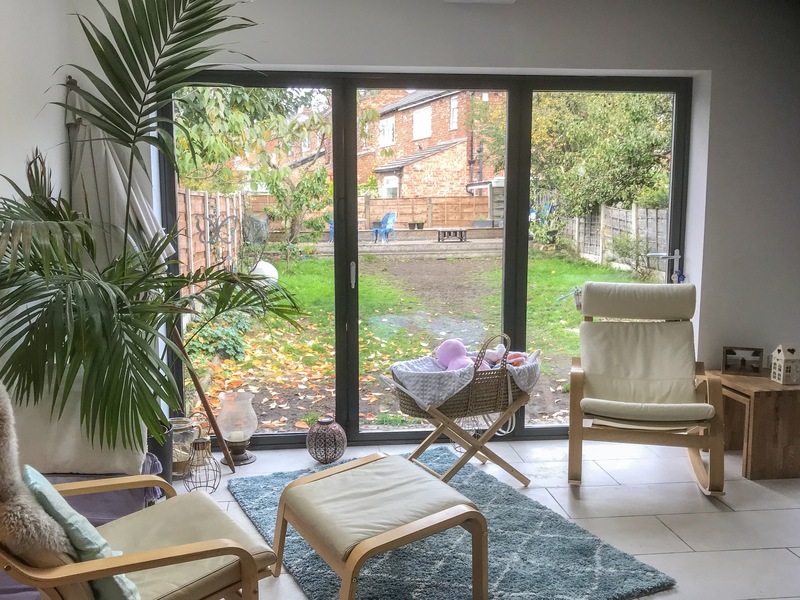 Thankfully it did work in taking my mind off worrying about the baby for a lot of the time as instead I worried about the mess, chaos, ordering the relevant materials needed in time and we had to decide on design of the kitchens and bathrooms. We also boxed and bagged our belongings so they could be stored in the loft as the rewire and new radiators meant all of the floorboards being ripped up. Then was the day-to-day dealing with the dust, mess and noise from builders. I remember the midwives and specialists telling me I should try to have lie ins and afternoon naps to help with fatigue caused by my pregnancy and the hole in my heart (see this earlier blog post for more details on this). I just laughed when they suggested it explaining the builders arrived at 7am everyday and you try sleeping at lunchtime when there is hammering, drilling etc. Unfortunately our building work also ran over schedule and our baby Aurora arrived ahead of time by a few weeks so it did mean we had to get alternative accommodation when we first came out of hospital. Thanks to an AirBNB stay and then some amazing next-door neighbour’s, who leant us their house while they were on holiday, the baby avoided most of the noise and dust. So now we are slowly decorating, unpacking and sorting out our new-finished house bit by bit which isn’t easy with a newborn baby but we are so happy with our new kitchen space, we can fit more than one person in there at once, and bathrooms are exactly what we wanted so despite the craziness and my doubts half way in we’re pleased we went ahead with it in the end. So far we have almost finished the kitchen space. We went for a navy blue kitchen with copper accessories and a white mistral worktop, which is a solid acrylic that can emulate marble but is stain proof so much more durable, with a baby and a clumsy mummy we felt that was essential. The pendant lights were from Wayfair. The stools I adore and they are from Cox and Cox. Whatever you do though if your health visitor says they love them and want to know where you got them from, don’t tell them to just google Cox. That caused a lot of laughs when the hubby overheard! The seating area of our new downstairs extension will eventually have a new sofa but for the meantime with the budget blown we have created a little lounge space with Ikea Poang chairs, stools and rocking chair. Added into this is a gorgeous rug from Dunelm, a sheepskin rug for cosiness, an original Moroccan silver lamp purchased in Marrakesh in January and some silk cushions that I’ve had for about 20 years. The best buy is probably the faux fur stool I purchased today from Aldi for only £14.95 but looks more expensive. I love being quite eclectic with my décor so there’s a real mix of new buys from the high street, old vintage things like the silk cushions I have had for years and hand me downs like the lovely chunky wooden coffee tables. I like to get the odd piece from our travels hence the lamp from Morocco, I also got bright coloured fabric from there that I will swap into that room for the summer when we can then open both sets of bi-fold doors across the back of the house. Have you bought any lovely things for your home from your travels? And if so please share your finds as I’d love to see them? This project has really helped to take my mind off things and it continues to be a passion of mine, although I’m miss impatient so want to finish it all at once when it will be a long term project over the next few years as we have an entire house to decorate and dress. Please share some of your favourite home photos. Most people have never heard of an amazing charity called AvMA – Action Against Medical Accidents, probably because until the worst happens you have no need to seek them out. We were introduced to this organisation by the Manchester coroners office, when we were first informed that there would be an inquest into our daughter Violet’s death at Manchester Children’s hospital. The coroners team said it was highly likely that the Manchester NHS trust would employ their own barrister for the hearing, when it finally happened, and that they wanted us to feel supported, as though someone is on our side. They said they didn’t want us to be bullied by the trust’s representatives and that an organisation called AvMA might be able to help. 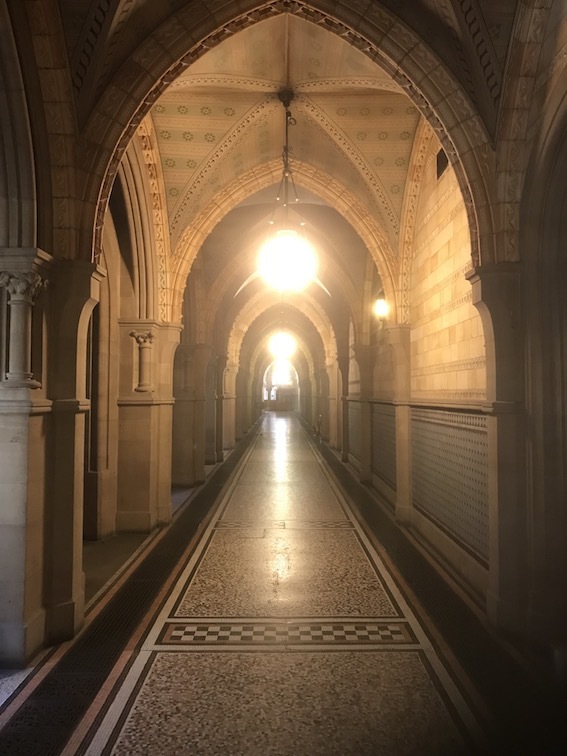 You may now ask “well what about legal aid?” It turns out that no matter what your financial situation in this circumstance legal aid is not available for an inquest hearing. Can you imagine the additional heartbreak and stress for anyone who is grieving a loved one and believes their death might be because of negligence or an accident but has no free legal support? We were quoted upwards of £1000 by several solicitors to pay for legal advice and support for the inquest. You may ask “what about no win no fee” though but this also isn’t available for a coroner’s inquest as this hearing looks solely to find the cause of death not to apportion blame or result in any type of compensation. In order to get a pay out you would have to have a separate legal proceeding in front of a judge rather than a coroner and this would be after the inquest and is a separate legal action entirely. AvMA provides free independent advice and support to people affected by medical accidents (lapses in patient safety) through a specialist helpline, written casework and inquest support services. They can put patients in contact with accredited clinical negligence solicitors if appropriate. They also work in partnership with health professionals, the NHS, government departments, lawyers and, most of all, patients to improve patient safety and justice. For us it meant having a trained barrister examine all the documents associated with Violet’s death and care whilst in Manchester Children’s hospital. This proved invaluable to us as she requested certain things we hadn’t noticed were missing, such as when we asked for a copy of Violet’s medical records the hospital hadn’t included any of her X Ray results, of which there were many. We then had time to request them ahead of the hearing. Judy, the barrister that volunteered her services to us, was amazing. We had a conference call with her a few weeks before the inquest and were pleased to see that she’d pulled together a list of her main concerns that all tallied with ours. She had done extensive research, including combing through not just the post mortem report but also the medical reports and all of Violets notes (that we couldn’t bring ourselves to sift through again). She also consulted various medical professionals she knew to get their advice on things. At the inquest itself both Julia the representative from AvMA and Judy our barrister were amazingly supportive. Judy asked all the questions we wanted and cross examined some of the witnesses, the various specialists and consultants responsible for Violets care while she was in the hospital. We passed Judy notes from the table behind with any additional questions that came to us while they were giving evidence, and before the coroner had finished with a witness, Judy always double checked with us that there was nothing else we needed to ask. I was originally instructed by the coroner to read out the police statement I had given immediately after Violet died and Judy said she could ask for me to be excused from doing this because I was heavily pregnant and the additional stress it would cause. We didn’t even realise this was an option and the coroner said he would admit the statement to the records as a printed document instead. This saved me having to undergo further emotional distress on the day. Ultimately the inquest couldn’t bring Violet back and we got some answers but not really the resolution we wanted. However I’m not certain we would have received these same answers if we hadn’t have had AvMA and Judy helping us. It was a traumatic day with lots of tears, so I doubt we would have had the strength or wherewithal to ask so many questions ourselves. Their help and support at what was an extremely vulnerable time for us proved to be priceless. Judy and AvMA only invoiced us for their expenses, which totalled less than £200, including travel costs from London and an overnight stay, so when you consider the thousands a barrister would normally charge this was a bargain. We’ve since given a larger donation to the charity too, so we can help them to help someone else like us who find themselves in an impossibly heart wrenching situation. AvMA operate as a charity offering support to parents and families like us whose loved ones have died or been seriously injured because of what might have been a medical accident. This will be the hardest most traumatic time in their lives and as a result they are certainly in need of support, especially around something that could result in answers, justice and in the case of proven negligence, when someone is seriously injured, later on a possible future financial payout too, that could make the difference to quality of life. I know this charity isn’t as attractive or as immediately heart tugging as a animal, Children’s charity or a cancer cause but rest assured they can make a huge difference to people’s lives at a time when there world has just ended. When they are already struggling to deal with the grief and shock of losing someone, in our case our 15 month old daughter. You never think this type of thing will happen to you. That one day your perfect little life bubble could burst and you lose a child or someone close to you but if this happens then you certainly need legal support from someone like AvMA as life at this time is overwhelming and devastating enough without adding a looming inquest to the list. If you can afford to donate to this amazing charity, even if a small one, then please do so as you could help someone like us who has said goodbye to their child. If you’re a legal professional and would like to donate time or expertise to work with the charity to help someone like us then please do take a closer look as we’re so grateful to Judy for giving up her time and expertise to help us. Judy explained to us that she understood a little of what we had gone through with Violet, as her daughter had been premature so she had spent lots of time with her in hospital and luckily she was healthy now but she knows how scary it can be to be a parent of a sick child. She said she can’t begin to imagine then losing them and then the stress of the coroner deciding to launch an inquest into what happened too. After reading our case she felt compelled to help us. A truly wonderful lady and we will be eternally grateful to her for her help and compassion. This is the first of hopefully many design inspiration blog posts I plan to write, as for those that don’t know me I adore architecture and interior design. I take a lot of photos of it especially when we travel. We are also about to begin a home extension and remodel so I’m collecting lots of lovely design ideas to give me inspiration about what we’d like for our new home. When we visited Morocco last month I took about a thousand photos of architecture and interior design, both modern contemporary and ancient traditional, so this is my first post where I look at modern eclectic Moroccan design. I was honoured to be given a guided tour of one of the newest and chicest boutique hotels in Morocco; the fabulous Salut Maroc in Essaouira. Don’t be scared of patterns & colours even if you think they may clash. Love the overall effects here. Why not embrace a feature wall and create a beautiful mural as artwork? A classical room that feels as though it is in Italy! Bathroom inspiration why stick to cream and white – cheer things up go for vibrant blues, yellows and embrace patterned tiles! Even lounge, dining and entrance spaces can be cheerfully designed fusing modern and classical design touches with colour and pattern. Don’t think I’ve ever seen the Mona Lisa in such an eclectic setting! I’m someone who is guilty of sticking to neutral colours or black and white when it comes to interiors but I think a pop of colour from a nice rug, cushions or even a burst of wallpaper on one wall could help to lift the dreariest of UK winter days! There are lots of others out there on the high street and smaller homewares stores that are embracing the Moroccan influence for this coming summer season. Feel free to share any finds or your own photos with me. 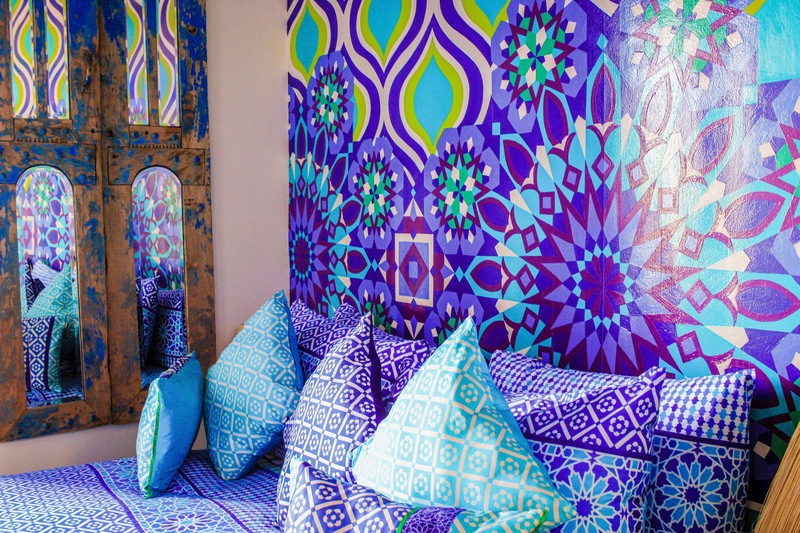 My next design inspiration post will look at traditional Moroccan design. It can be very difficult when you’re grieving the loss of your child to remember those that are living and that you still need to invest time in your relationships with others especially with your husband or partner. One crucial thing we did as a couple was to ensure we planned and booked time in our diaries in advance to mark important anniversaries and occasions. Making a dinner reservation, booking a hotel for the night or even flights for a weekend away ensured we couldn’t decide to give it a miss when the date came around. Occasionally one of us would say we weren’t in the mood and the other would encourage and persuade. I once even went out to dinner in a lovely restaurant and I hardly had any make up on and my hair was scraped back (as I wasn’t in the mood to try to look nice as it felt too superficial) but the fact we did it made the next date we had slightly easier. The more we forced ourselves the better we actually started to feel about going out and the less guilty we felt about “enjoying ourselves when we had lost our most precious daughter”. Here’s a photo of me with hubby, minus make up, after being encouraged out last year. I cheered up when all the lighting was Violet and I was served a Violet cocktail almost as though she planned it! Anyway we still keep this up over a year on and sometimes it can still be difficult for us but we make sure we take time out. A few weeks ago we celebrated the anniversary of our very first date so my hubby treated us to a night away in Cartmel in the Lake District with dinner, bed and breakfast in L’Enclume. I will talk more about the amazing food we enjoyed in my next post but I wanted to share that even though we are fortunate to travel and dine in some amazing places our lost children are never far from our minds.